For (easy?) Indoor Gardening ~ I have the total opposite of a green thumb. I kill almost every plant I try to grow save one lucky bamboo plant (while FH manages to keep his pre-Laura botanicals green & healthy despite my presence… mostly because he does not allow me to touch them). I recently discovered it is not *impossible* to kill a succulent (aren’t they supposed to be low-maintenance? ), yet the fighter in me would love to try again. 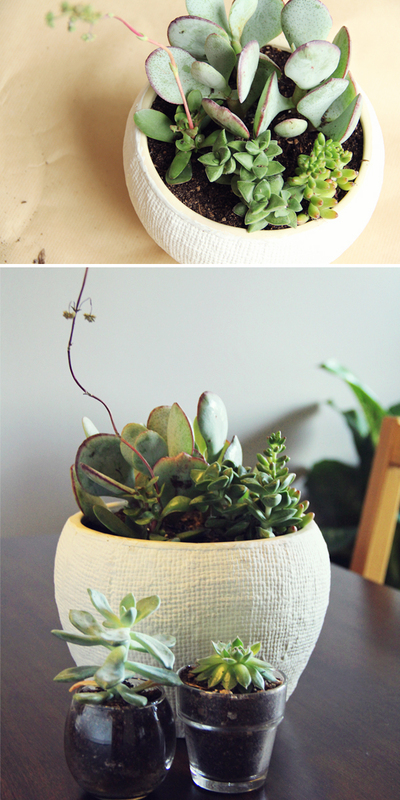 I’d like to follow the tips in this DIY for a succulent tabletop garden from the amazing Lovely Indeed. For a Timeless Tabletop ~ I spent a good day and a half emailing pictures of everyday dish sets to my poor, patient future hubby last week (you know, wedding registries & all that). I campaigned to convince him that white dishes were totally the way to go, and used this as photo evidence from those domestic geniuses over at Young House Love to demonstrate the versatility & the *possibilities! * The photo is courtesy of their well-timed (for me) post: Registry Do’s and Doh’s. 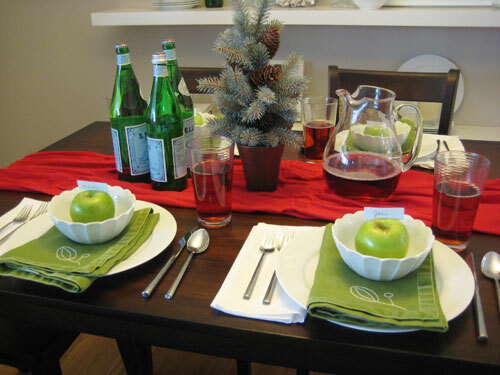 Sherry’s colorful yet simple holiday tablescape had me singing deck the halls! 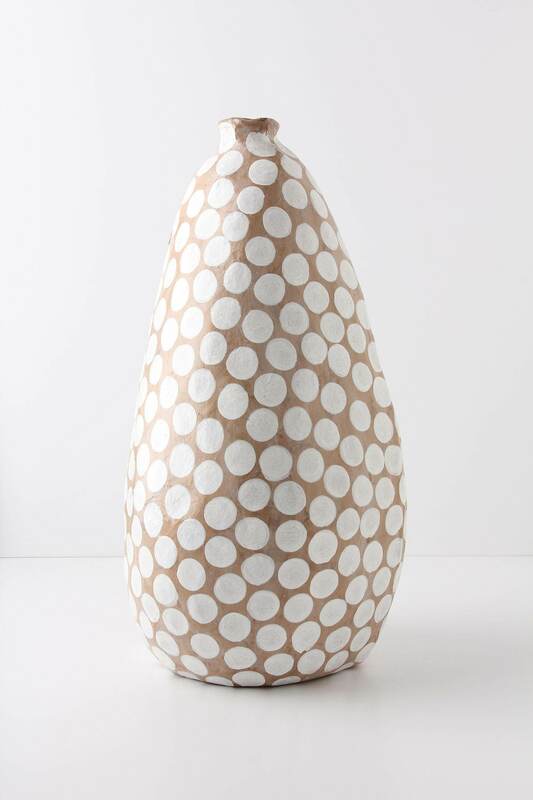 For Copy-Cat-Ing ~ I love the homemade-looking-nature of this Dotted Paper Vase from Anthropologie– and am considering recreating my own version for less than the $49.95 price tag. Wish me luck! 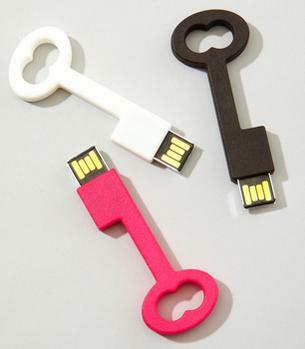 For Adorable, Techy Convenience ~ I love these Skeleton Key Flash Drives found on Uber Gizmo for a fun & unique way to keep your important documents handy at all times. Gotta get me a hot pink one! 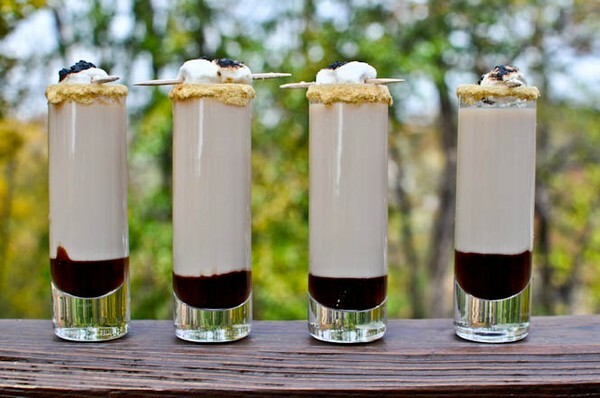 So Good You’ll Ask For S’More ~ Can I get a *what what* for these S’moretini Shooters brought to you by How Sweet it Is? Take Smirnoff Fluffed Marshellow flavored vodka (oh yes, it’s true), Bailey’s Irish Cream liqueur, Godiva Chocolate liqueur, hot fudge, graham crackers, & toasted marshmallows… and you’ve got a genius concoction. The only question is… will the bartender at my wedding be making these, please? 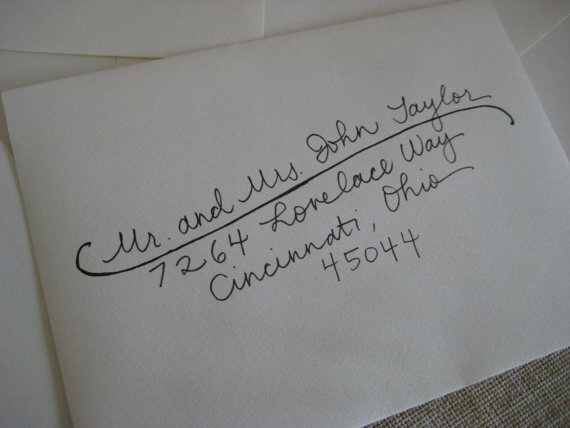 I’m very excitedly checking the mail these days, waiting for a special package of my wedding invitation envelopes to arrive complete with beautiful hand calligraphy by Elise at With Joy Calligraphy. With full acceptance of my own pitiful handwriting (I usually ask my future hubby to address & sign all cards, since his writing is FAR nicer than mine! ), I scoured Etsy for hand calligraphy options. With Joy Calligraphy offers a great variety of hand written fonts, and I found Elise’s prices to be some of the best available. I chose the Simple Elegance font as I felt it reflected the simple yet elegant vibe we are hoping to achieve at our wedding! What could be more perfect? And With a Flair for a romantic touch. My envelopes should arrive any day now, which will allow me to check of a huge item on my to do list! Working with Elise of With Joy Calligraphy has been a pleasure- she made the purchasing process quite easy, and even adjusted for a couple of last minute address changes. I highly recommend working with Elise if you are in the market for some unique calligraphy! Hey guys! Happy Wednesday!! I am super excited today (hence all the exclamation points), because my mostly-DIYed Invitations are about to be printed! I ended up designing my invitation suite myself (on my macbook, using Pages). I don’t want to give away too much right now, but I’m excited to share the two fonts I chose to use in my design. 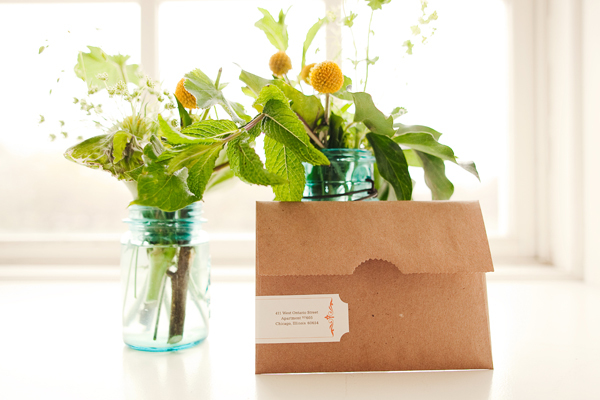 We wanted invitations that would convey the feeling of our outdoor, rustic-yet-elegant fall wedding. I have a love of typography and cool fonts, (and totally wish I had the spare time to take classes in graphic design). I spent a lot of time searching for fonts to use in our invitations. The first font was free, and I found it thanks to this super helpful font post on Snippet & Ink. 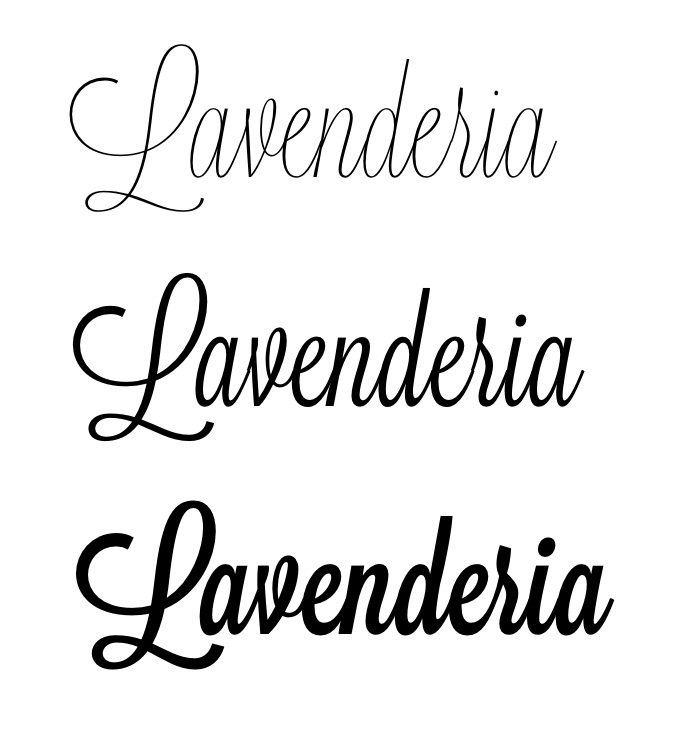 Lavenderia can be found on Lost Type, and as I mentioned before, it rocks my socks because it was free! My second invitation font was not free. It was worth the money though, because I am obsessed with it. The campland font family ($38) from Magpie Paper Works is rustic, casual and fun – with a “summer camp” kind of feel- perfect for an outdoor wedding (with S’mores!) The Campland font letters ($20 purchased alone) are hand-lettered & fancy-free, and the Campland ornaments ($20 purchased alone) include hearts, arrows, pinecones, and some great borders. 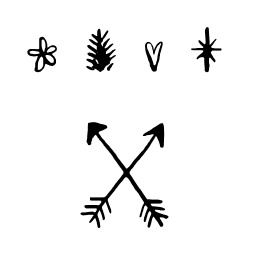 I had so much fun playing with the symbols in the Campland font suite, and am sooo excited with the way my invitations came out! I can’t wait to share the finished product- but in the meantime, I hope you enjoy my font picks! If you read my blog, or know me, or look me up on Facebook, you will quickly learn that I am obsessed with my dog, Emma. I completely understand that people with actual children, or social lives, may find it incredibly annoying when people like myself blab on and on about my amazing dog and the adorable thing she did the other day. I get it- babies are cute too, and require lots of love and attention. I understand that you cannot leave a baby home alone in the house for 6 hours and expect to be greeted with kisses & tail wagging upon your return. 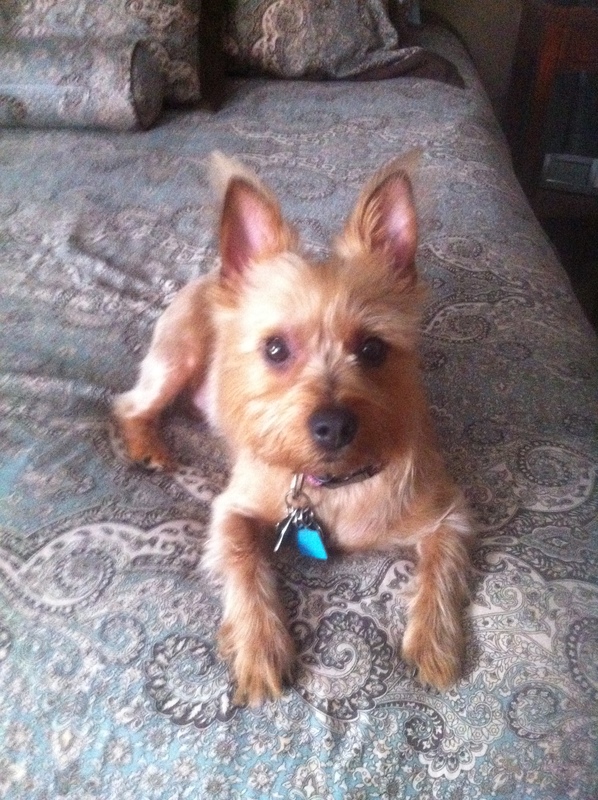 However, until I have one of those babies-that-require-actual-work, my dog is pretty much filling that role for me. So, I will post excessive pictures on Facebook, talk about her in my blog, and generally obsess over her cuteness. If you think that I am overly enamored with my dog, my future hubby is probably even worse. With that said, when we began planning our wedding, it was a complete given that we would be including Emma in the festivities. She is family to us- and it is hard to imagine the past two years of our little domestic life without her in it. When we started looking for wedding venues, we knew we wanted an outdoor ceremony so that our pup could strut her stuff down the “aisle”. One of our criteria then, when looking into locations, was whether or not the ceremony venue was pet friendly. 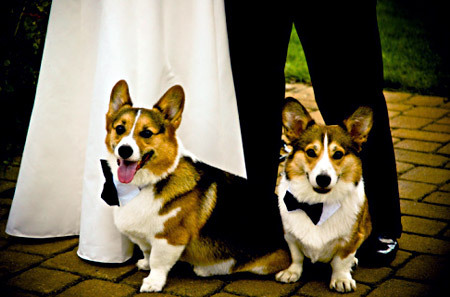 Since we also wanted a wedding location where everything would be in one place – and preferably an Inn or B&B with overnight rooms- we set out to find pet friendly wedding & lodging options. FH would not even go look at a venue that did not explicitly declare themselves to be pet-friendly. 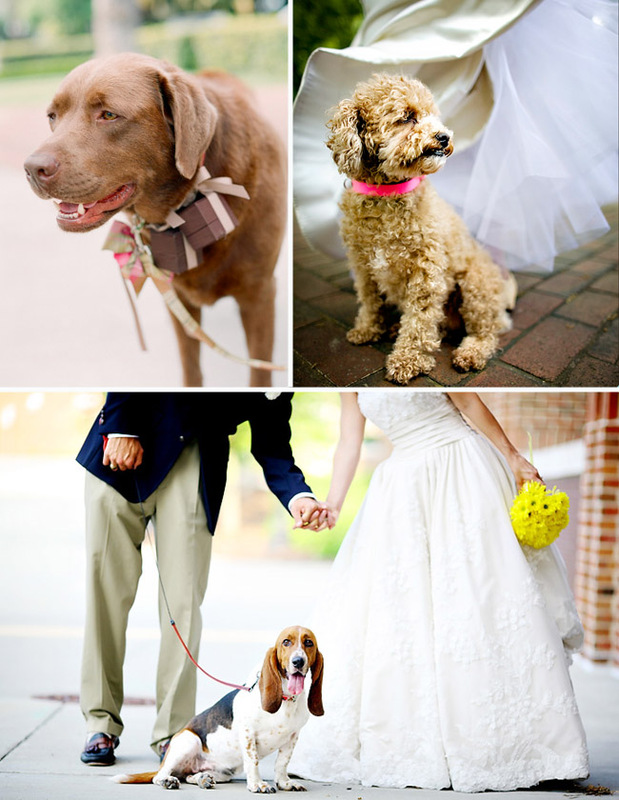 But there are also some realities that accompany the decision to incorporate your favorite four-legged friend into a wedding celebration. Adorable photographs are certainly one great big bonus, but obviously all dogs (and most specifically, our dog) will not be perfectly poised & posed throughout the entire wedding event. I love doggy wedding shots! 1) Put Someone on Doggy Duty. I’ll be assigning one (lucky) family member/friend/professional dog walker “Doggy Duty” for the afternoon. So that my FH & I do not have to worry about attending to Emma’s doggy needs while we are busy prepping/picture-taking/dancing/smooching, I’ll make sure somebody trustworthy is available to make sure Emma gets her dinner, gets lots of exercise pre-wedding ceremony so she is calm, and gets her regular trips to a far-from-the-ceremony spot to do her business. You won’t catch me holding a “doggy bag” in my wedding gown. No sir. And because our ceremony is in the same location as our reception, and everything is being held at an Inn with overnight rooms, a designated family member will be able to take Emma back to a room after the ceremony is over, where she can get her full 8 hours of beauty rest while we dance the night away. 2) Let Your Guests Know a Pet Will be Involved in Advance. Just like I’ll be visiting my local salons for mani-pedis, eyebrow waxing & a trim from my hairdresser in the week or two leading up to the wedding, Emma will have an appointment at the groomer, so she will be trimmed & clipped & looking her absolute cutest on the big day! We will be practicing all summer with Emma, to help her prepare to walk gracefully down the aisle & sit nicely. Our little girl is a squirrely one, and not particularly well trained. So we’ll be working on that! I am hopeful that by following the tips above & through careful preparation, incorporating our Emma into the day will be fun & stress-free. Out wedding is, after all, a celebration of our love & personalities, and it would truly feel incomplete without the little fur ball! 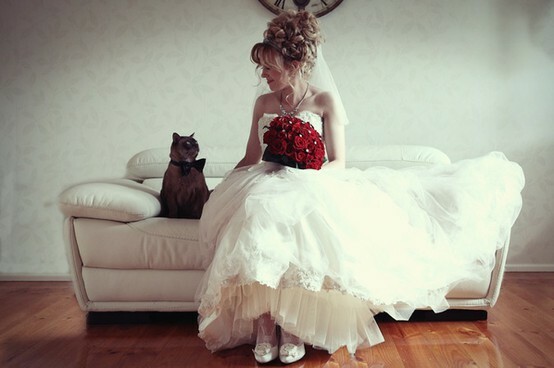 I’d love to know what you think- would you ever incorporate a pet into your wedding, or did you do it? How did it work & what is your advice? P.S. I’m a dog lover, but not a cat hater. This photo is gorgeous, I think! My mother has Siamese cats… they are pretty much the most amazing cats ever. Have you ever seen a cat at a wedding? That would be a first for me! When deciding on favors for our wedding, I want to be sure I do not spend a valuable chunk of our budget on something that will either a) get left behind because guests do not want it/care to take it home, or b) get taken home, only to be thrown away a few months later. What do you think? 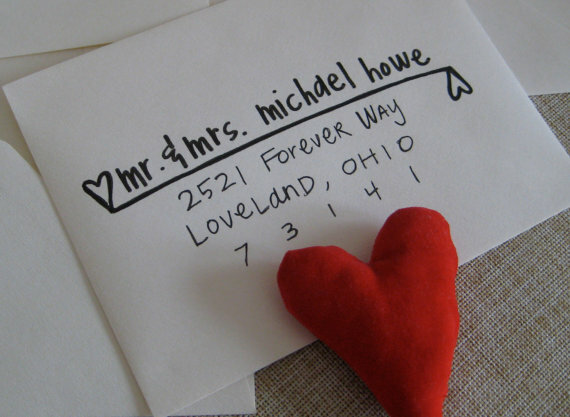 Did you/would you DIY your wedding favors? 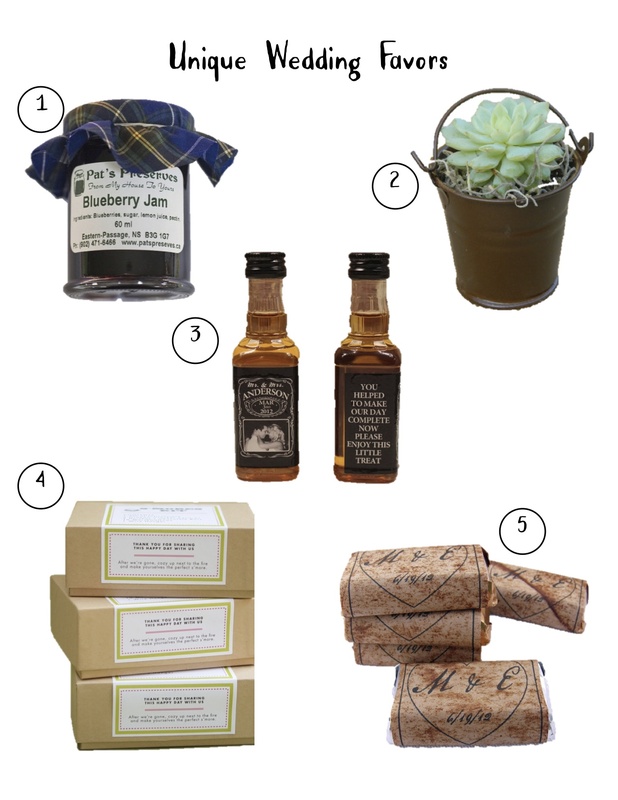 Did you/would you have wedding favors at all? I’d love to hear your thoughts! I originally began this blog after getting engaged, thinking that I would be writing about weddings and wedding plans every day. Turns out, a couple of things changed these plans. 1) Wedding planning (at least for me) comes in bursts- a few weeks of making big decisions, lulls of a full month or two, interrupted by a couple weeks of dress shopping, followed by another month with nothing-wedding-related-to-do. Although I think about the wedding every day and look at pictures or add to my Pinterest wedding board on a weekly basis, the actual ‘planning’ is kind of boring, to be honest. (I know I will take that back when I’m at T-minus a month or so, but that’s how I feel right now). 2) I realized I did not want to post about MY actual wedding crafts, plans, decisions, etc (besides the basics) until after the wedding. My followers (few, but lovely) that I have right now are mostly my family/friends who will be at the wedding (don’t want to give everything away before the big day). 3) The “I’m going to DIY & craft as much of this wedding as possible” mentality quickly spilled over into my regular, every-day life, and I started making & sharing home decor projects, too! So, needless to say, the “wedding blog” quickly morphed into the “everything I feel like writing about” blog. I am still happily planning, dreaming & scheming about our upcoming wedding day (less than 6 months away!) however, and so to bring some order to the madness of my “everything” blog- I decided to start Wedding Wednesdays! You can count on a wedding-related post every Wednesday. Maybe it will be decor or DIY project related, maybe it will be a little rant about how everything with the word ‘wedding’ or ‘bridal’ in it is twice as expensive as its identical, non-wedding counterpart. Who knows. 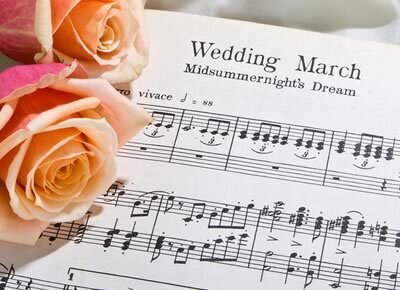 Today, however, I’m going to talk about wedding music. 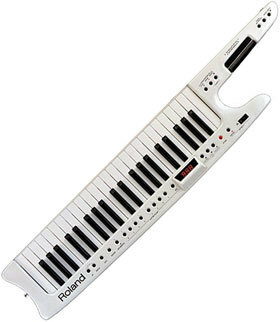 I am a musician. I don’t talk about my music or professional life much on this blog, but I have shared that I am a teacher, working specifically in the arts, and a singer. I went to school (and am currently still in school) to study music, I sing daily (and occasionally get paid for it), and I have a never-ending soundtrack playing inside of my head at all times. My FH (future hubby) is also involved in the arts, and while not a musician himself, has a love for music & a secret past of performing in high school musicals that he refuses to share evidence of. Even so, FH doesn’t really get my ‘music brain’ as he calls it, and finds it amusing (and sometimes, kind of annoying) that I randomly break into song, or sing instead of speak in a conversation. (I’m like a less adorably-cute, but equally adorkably-kooky version of Zooey Deschanel in New Girl). 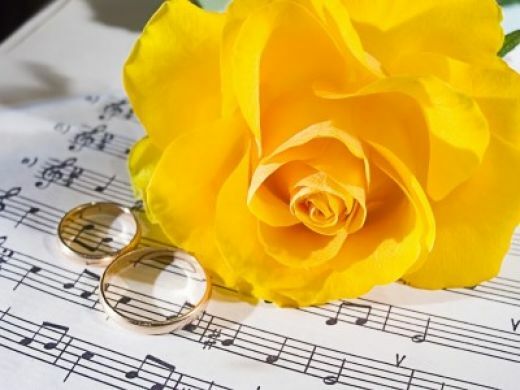 Because music is such an integral, essential part of my life- the music that will be a part of our wedding ceremony is consequently of great importance to me. I’d like to say I have it all figured out… but that would be a lie. I do have vague ideas of what I want, however they are currently cloud-like ideas, floating somewhere outside of actual, concrete decisions. I’ve been to a bunch of weddings, and both been a part of (as singer- either professional or friend) and attended weddings with a clearly defined and original music aspect. The majority of the weddings I sing for professionally are Catholic ceremonies or masses. I am not Catholic, however I do like Catholic weddings. They are formal, reverent and follow a defined structure. The music is conservative and pulled from a catalog of standard/acceptable pieces, however it is beautiful and appropriate for the style of the wedding. I love attending this type of wedding, and I love being a part of them as a singer. I’m glad, however, that I am not a Catholic, because my ‘music brain’ and amorphous, non-idea-ideas definitely do not fit the structured mold of a Catholic ceremony. When there is more flexibility, the choices are endless. I’ve been to weddings where the music is the main event- the highlight of the whole ceremony. On the other end of the spectrum, I recently attended a wedding with no music at all. Just a simple, sweet and utterly perfect moment between the couple, the officiant, and their families. At this wedding, I truly felt the presence of a higher being. It was a precious celebration of love. The reality, however, is that I am thinking very hard and carefully about how I can ensure the music of our wedding ceremony is personal and meaningful to us. 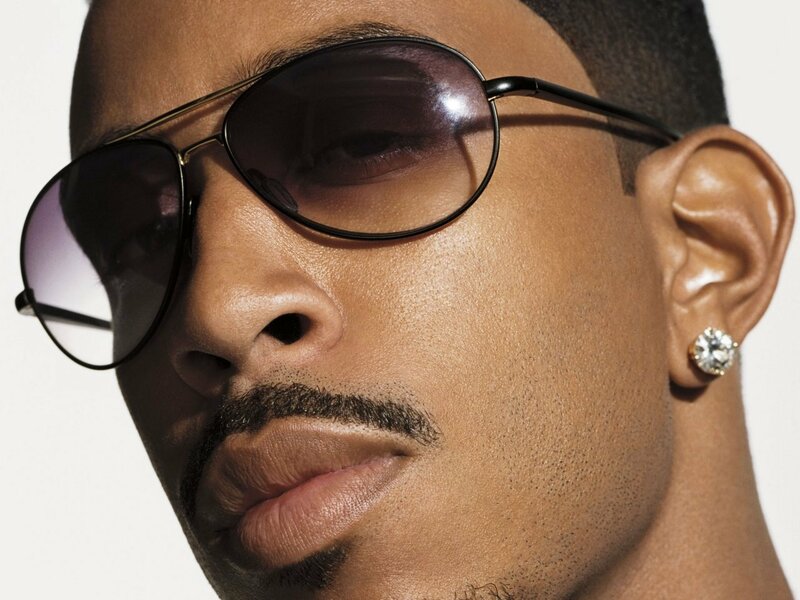 FH and I do not really have “a song”… unless you count a certain number performed by Ludacris … but we’ll avoid that for the sake of my Grandparents’ sensibilities. Even so, we have shared musical tastes (for the most part, although FH does NOT seem to enjoy MMMBop by Hanson the way I do…) and one particular song that carries meaning for us (mostly because it always makes ME cry, and FH likes to make fun of me for that). While the music at our wedding is incredibly important to me, what is more important to me is that I will be marrying my love, and that we will be taking an enormous step on a new path together. I hope to select music that enhances the love-fest atmosphere, fits our individual personalities and combined partnership, and above all serves as a piece of the day, but does not overshadow the moment where we commit our lives to each other. My WedHappy app just alerted me that it is time to order my invitations. I’ve been back and forth between ordering a set from an Etsy designer that I love… or attempting to DIY my invites. So… I’ll take some free advice now, please! 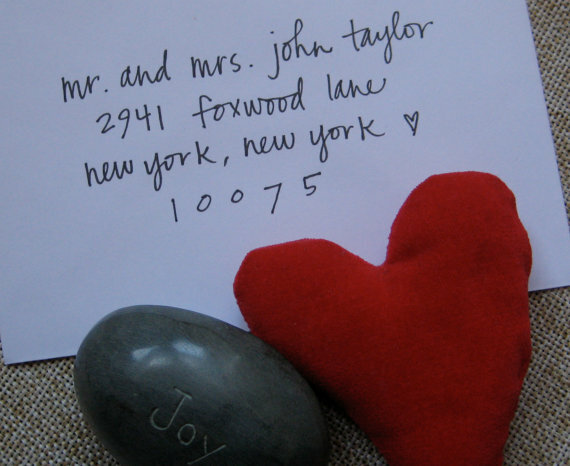 Anyone out there who DIY-ed wedding invitations, and lived to tell the tale? Anyone who purchased them & loved them…even in retrospect after paying all the bills? p.s. I love kraft paper envelopes!